Rent houses and villas in Mâcon, France with private pools. This 3 bedroom house with private pool is located in Chissey-lès-Mâcon and sleeps 8 people. It has WiFi. 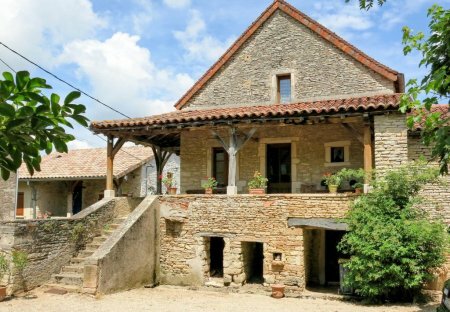 This well-equipped holiday property is located in south Burgundy, not far away from Cluny and its abbey. Set in a peaceful hamlet with sunny courtyard and extensive grounds. 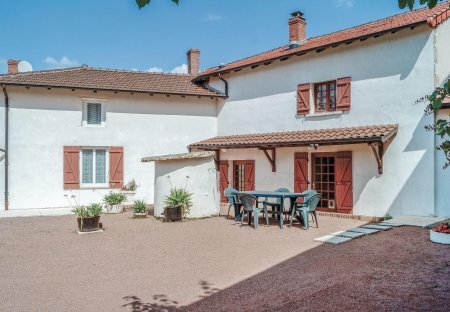 This 3 bedroom house is located in Bonnay and sleeps 6 people. It has WiFi, a garden and barbeque facilities. This 1 bedroom house is located in Chissey-lès-Mâcon and sleeps 3 people. This charming holiday house iis a former farmhouse dating from 1890, refurbished with 2000m² of grounds where sheep peacefully graze, and located 4km away from Trambly.